Sugar content: 66 grams (per 20 ounces). 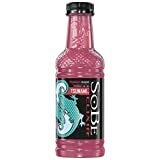 How Does SoBe Power Fruit Punch Compare? 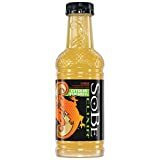 SoBe Power Fruit Punch contains 3.80 mgs of caffeine per fluid ounce (12.85mg/100 ml).